This is how you kick off a series. I instantly connected with Emily. She is smart and can hold her own with the guys. Yet, at the same time I liked seeing her struggle to care for her ailing father. It showed that she as not perfect and more relatable. The concept for this story is intriguing and scary at the same time. I can see why Mr. Jamison's father who is a former tugboat captain did not want to spend much time thinking about the idea of this story too much until years later. It really could happen. That is what makes this book so intriguing. In addition to the fact that Mr. Jamison brought to life this story with engaging characters. I can't wait to read the next book and see Emily in action again. Anyone looking for their next great read should pick up a copy of this book. You won't regret it. 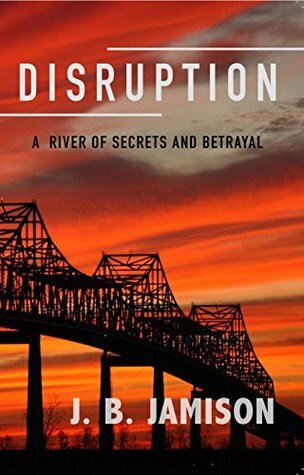 Sign into Goodreads to see if any of your friends have read Disruption.